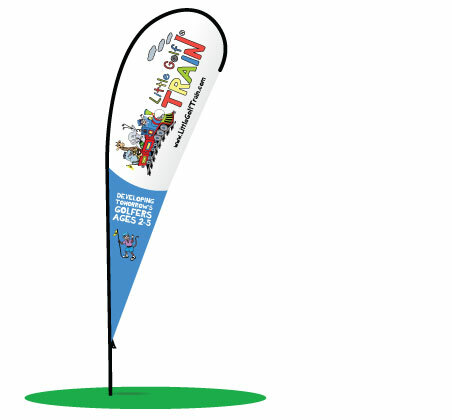 Beautiful 7-foot Little Golf T.R.A.I.N.™ teardrop banner to use at your classes. What are some potential ways to meet your ROI to your personal or facility’s business goals? What are some ways to market ideas to help Little Golf T.R.A.I.N.™ take root in your area? CLICK HERE to see examples and ideas as you make your decision about becoming a Certified Conductor. 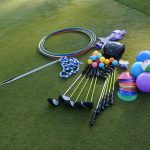 Ability to purchase Little Golf T.R.A.I.N.™ equipment kits — 3 turn-key versions offered exclusively to Certified Conductors only. Not interested in or have the time to gather the activity equipment for the curricula? Little Golf T.R.A.I.N.™ has assembled the basics for you! All Full Fare kits ship in two Little Golf T.R.A.I.N.™ duffel bags. All Standard Fare and Club Fare kits each ship in one Little Golf T.R.A.I.N.™ duffel bag. Access to our Little Golf T.R.A.I.N.™ Certified Conductor private Facebook page and community for question and idea discussions, exclusively for Certified Conductors. Use of the Little Golf T.R.A.I.N.™ Certified Conductor logo. Listing on Little Golf T.R.A.I.N.™ Certified Conductors domestic and international resource webpage. PGA Members earn 3 Education Points for becoming a Certified Conductor. LPGA T&CP Members earn 4 CU’s for becoming a Certified Conductor. Access to Certified Conductor webinars, conference calls and other events that are scheduled throughout the year.